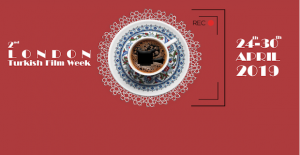 When the National Theatre’s Antony and Cleopatra is broadcast to cinemas in December, Ralph Fiennes and Sophie Okonedo won’t be the only stars getting ready for their close-up. Fiennes is no stranger to NT Live screenings but Okonedo will be making her debut, as will one of four real snakes used in the production. It has not yet been decided which of the snakes, which are used in rotation throughout the play’s run, will appear in the broadcast. It could be Pork Pie, Hondo, Little J or Larry, who had no name when he arrived for the show but has been christened in honour of the National’s first artistic director and the Olivier stage on which he appears. 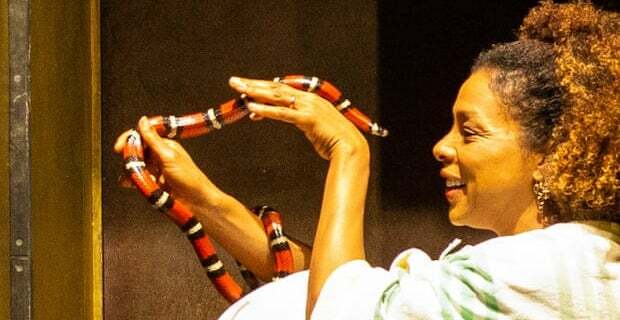 Okonedo, who has never worked with animals in the theatre before, said she and director Simon Godwin “felt very strongly before we started rehearsals that it would be a bit of a letdown if we brought out a rubber snake at the end of the show”. When she first handled snakes, she was surprised to find them “the most beautiful and fascinating creatures”. 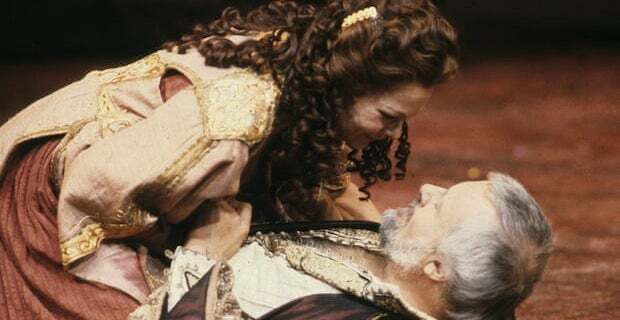 This is not the first time that real snakes have been used for Shakespeare’s tragedy at the National: Judi Dench shared scenes with a snake in a 1987 production co-starring Anthony Hopkins. In the play, an asp is used by the Egyptian queen to kill herself; she places it on her breast and tells the “poor venomous fool” to “be angry”. osen for their dramatic colours. 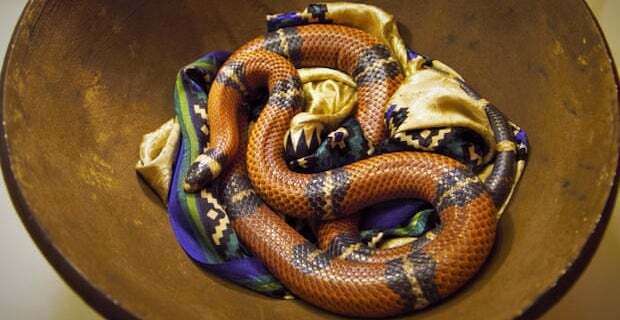 Pork Pie was a rescue snake who was rather obese, but the exercise of performing in the show has helped him lose weight. Another of Amey’s snakes, Mr Jangles, was removed from the production because he is “quite fidgety”. He is one of Amey’s most successful snakes on film but theatre work doesn’t suit a snake who likes to “do his own thing”. Hence the casting of Little J. Four backstage snake carers work on the production. The animals have their own green room at the National: a vivarium, which is a wooden unit with sliding glass doors, controlled lighting and heating, complete with branches for the snakes to climb.